BRR is well known for supporting team members in their participation in industry leadership and professional development programs. One such program is the Pillars program, a leadership training program led by the Kansas City chapter of AIA. For the past 7 months or so, I have been representing BRR as a member of the 2018-2019 AIA Kansas City Pillars class. I have found that Pillars is a great way to network with other emerging leaders all over the area as well as learn about various topics, such as politics and advocacy, business and legal issues, outreach and economic development. Not only do participants get to know their fellow peers, they have the opportunity to meet panelists and speakers that are a part of educational sessions. My class consists of 9 sessions, which are half-day sessions held monthly. So far this year, we have learned about local politics, the history of Highway 71 in Kansas City, and local education. We have toured places such as the HyVee Arena (formerly Kemper Arena), Science City at Union Station, and even local Kansas City businesses. I look forward to the remaining 3 sessions, which will be based around unions, transportation access, and food/agriculture. Personally, the Pillars program has helped me improve my leadership skills, as we are encouraged to take the lead and organize sessions for all the members. My group and I were prompted to research our topic and recommend presenters that can facilitate good conversation and discussion. We chose to explore the history of Highway 71 here in Kansas City and the controversy surrounding it. Some argue that Highway 71 provides a direct route from the southern areas to downtown Kansas City. Others argue that it forced thousands of people to relocate, separated existing communities, and created a cultural divide between the east and west sides of the corridor. Researching a topic like this allowed us to meet people from MARC, MoDOT, and KCATA, as well as local members of the community that experienced firsthand the construction of this road. In addition, it allowed us to gain a deeper understanding of Kansas City’s history. This is important to me because, being from Illinois originally, I did not have a lot of knowledge about this city, a place where I now live and work. I am also a member of the Pillars community service committee. Each member must complete 10 community service hours throughout the 2018-2019 year, and as a committee member, it is my job to help find volunteer opportunities for all the members to achieve their hours. Being a part of this committee has allowed me to gain awareness of and form good relationships at numerous local organizations. 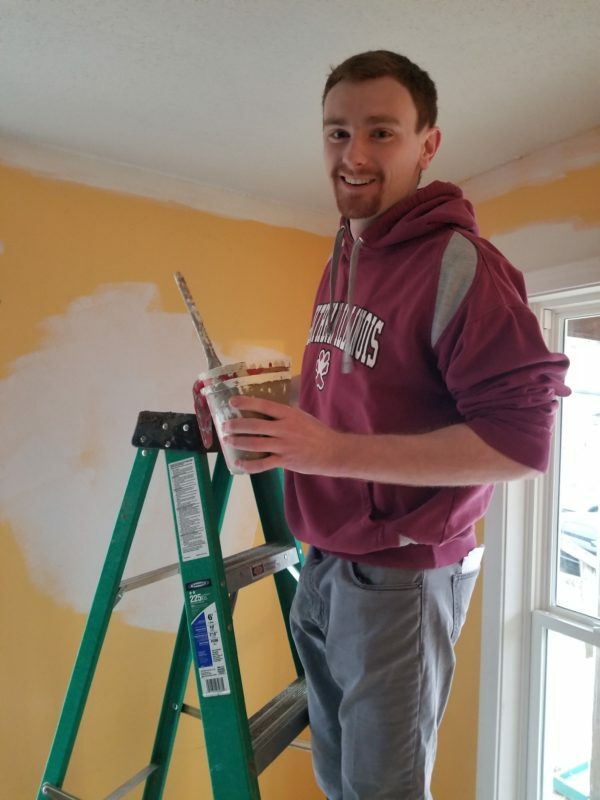 For example, we recently coordinated a volunteer day for Habitat for Humanity, and managed some interior finish work at a house in Kansas City, Kansas. We had the chance to meet the “regular” working crew for Habitat and learn about what they have been working on. I have appreciated the Pillars program for the way it introduced me to peers who are at similar career stages in the A/E industry. And, I am grateful that BRR’s culture, one which encourages all of us to set goals, opened the doors for me to such a program. 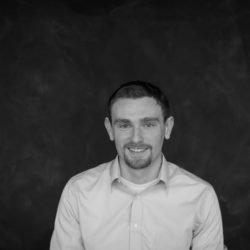 Nick Bosman, AIA, LEED Green Associate, is a licensed architect at BRR Architecture. After graduating from the Master of Architecture program at Southern Illinois University – Carbondale, he relocated to Kansas City to begin his career. Nick has been with BRR for 2 years.